ImmPowerD3 Immune Defense | Immune System Support | All Natural Vitamins - American BioSciences Inc. If you are searching for a proven and affordable daily immune system support supplement, ImmPowerD3 is your answer. ImmPowerD3 combines two of the strongest immune defense enhancers, AHCC and vitamin D3, into one powerful daily pill. 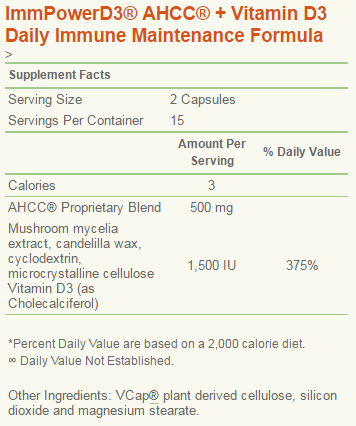 Stay healthy and happy with our daily dose of immune system support. As a dietary supplement for adults, Maintenance Dosage: take one (1) capsule, twice a day. Ensurance Dosage: for a little extra support, take two (2) capsules twice a day. Click here for active hexose correlated compound (AHCC) research. 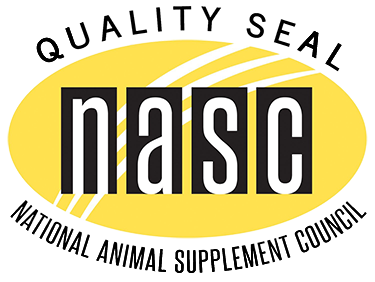 Click here for the Better Nutrition Best of Supplements 2017 Awards article.